Skip most supplements: There is no evidence that they works. B vitamins. It is true that B vitamins (B1, B2, B6 and B12) help the body convert food into the form of energy that cells can burn, but taking more B vitamins doesn’t supercharge your cells. • Panchagobbo (Five items obtained from cow: milk, ghee or clarified butter, curd, cow dung and gomutra), curd, honey, brown sugar, three big noibiddos, one small noibiddo, three bowls of madhupakka (a mixture of honey, curd, ghee and brown sugar for oblation), bhoger drobbadi (items for the feast), aaratir drobbadi mahasnan oil, dantokashtho, sugar cane juice, an earthen bowl of atop (a type of rice), til oil (sesame oil). • Water offerings: Ushnodok (lukewarm water), coconut water, sarbooushodhi, mahaoushodhi, water from oceans, rain water, spring water, water containing lotus pollen. • Three aashonanguriuk (finger ring made of kusha). • Puja Items: Sindur (vermillion), panchabarner guri (powders of five different colors – turmeric, rice, kusum flowers or red abir, rice chaff or coconut fiber burnt for the dark color, bel patra or powdered wood apple leaves), panchapallab (leaves of five trees – mango, pakur or a species of fig, banyan, betel and Joggodumur or fig), pancharatna (five types of gems – gold, diamond, sapphire, ruby and pearl), panchakoshay (bark of five trees – jaam, shimul, berela, kool, bokul powdered in equal portions and mixed with water), green coconut with stalk, three aashonanguriuk (finger ring made of kusha). • Panchamrit: A mixture of Honey, Milk, Curd, Ghee and Brown Sugar. The little girl lived in a small, very simple, poor house on a hill. She would play in the small garden and as she grew she was able to see over the garden fence and across the valley to a wonderful house high on the hill – and this house had golden windows, so golden and shining that the little girl would dream of how magic it would be to grow up and live in a house with golden windows instead of an ordinary house like hers. As she dismounted her bike and leaned it against the gate post, she focused on the path that led to the house and then on the house itself…and was so disappointed as she realized all the windows were plain and rather dirty, reflecting nothing other than the sad neglect of the house that stood derelict. This is a communication from a member, Board of Governors to the Chairman, Board of Governors. 8th October, 2010, 9.34 PM: Mr. Amit Kumar, Advocate–On record, Supreme Court, member Ethics Committee had sent an email to all members of the ethics committee. The email read "please find enclosed draft recommendation of Ethics Committee on the appeal of Dr. Kunal Saha and other relevant documents for your perusal, suggestion and recommendation. Please send your approval ASAP for necessary action". In the email there was no mention of how item no. 3 and item no. 4 were procured by Mr. Amit Kumar and who authorized Mr. Amit Kumar, member Ethics committee to circulate an official agenda item. 8th October, 2010, 10.08 pm: In reply to this email Dr Arun Bal wrote an email to Mr. Amit Kumar. The email states "I am sending the signed minutes. I strongly feel that we should prevent him at any cost from going to WMA conference. Can we not file an urgent appeal in Supreme Court and cite BOG’s order suspending his licence? I feel we need to be very pro active in this regard to prove to medical fraternity that MCI will not tolerate any nonsense. I am sure common man in the country and an average medical practitioner expect us to do that. Pl let me know if I can be of any other help." 8th October, 2010, 11.20 pm: Dr Sangeeta Sharma also replied by email which reads" I also agree with the views of Dr. Arun Bal. I am herewith sending duly signed minutes. Please let me know if there is a meeting tomorrow." The signed minutes were attached with the email. 9th October, 2010, 11.51 am: Dr Anil Narang also replied by email which reads "I have just been able to see the mail and have gone over the documents and the draft recommendations. 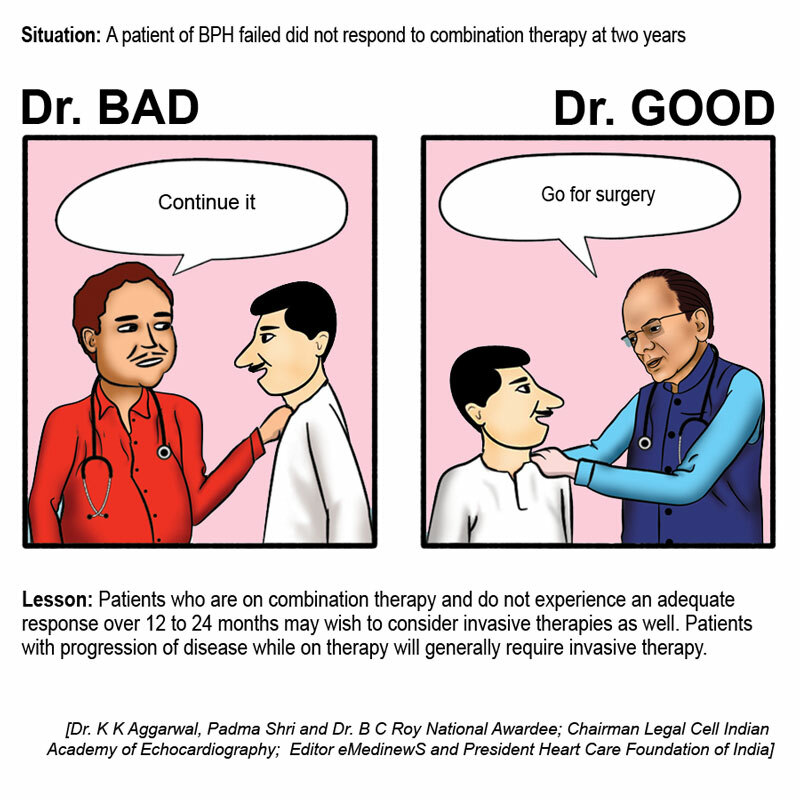 I fully agree with the proposed recommendations regarding Dr Ketan Desai." 9th October, 2010, 1.09 pm: Dr BK Rao reply by email reads "Since Gujarat Medical Council is a duly constituted body, and Dr Kunal Saha has levelled serious observations against its functioning, the real facts pertaining to Dr Kunal Saha’s complaint need to be checked from Gujarat Medical Council. There is no mention of any communication between MCI and the Gujarat Medical Council to know the fate of Dr Kunal Saha’s complaint and the MCI is merely acting on Dr Kunal Saha's appeal without verifying the facts with Gujarat Medical Council for any action taken or proposed to be taken by them in this regard. I feel it is important to know the Gujarat Medical Council's stand in this matter before the MCI takes any decision of its own which may amount to bypassing the state medical councils. It will set a precedence which will be highly undesirable with long term implications. It is also important to see if the Clause 8.5 can be invoked/applied in this case. Needless to say that we all want accountability, responsibility and morality amongst the doctors; and expect the State Medical Councils/MCI to effectively implement it." 9th October, 2010, 3.53 PM In reply to Dr BK Rao’s email, Mr. Amit Kumar replied by email dated wherein while he reiterated the stand taken by MCI in this matter, he also said that he agrees with my view that MCI should write to Gujarat Medical Council and seek all relevant information on the complaint of Dr. Kunal Saha. I would also suggest the same to MCI. 9th October, 2010, 6.35 pm: In his subsequent email Dr BK Rao disagreed with Mr. Amit Kumar’s opinion on the matter and Dr BK Rao email read" My concern here is that the MCI is withdrawing to itself the said complaint pending with the concerned State Medical Council straightaway without giving a chance to the State Medical Council to respond. Moreover, the presumption that if the complaint is against the President of the State Medical Council, such complaint will not be dealt fairly by it or it's ethics committee is too brazen and erodes the trust doctors have in their respective State Medical Councils. The ethics committee of any Medical council works within the laid down framework of rules and regulations and not on the opinion and advice of the President of the Council. Let us not forget that no person, at any post is infallible. I am for giving a chance to the State Medical Council to act within the permitted time period, failing which the MCI is at liberty to take any action deemed fit under the law. A few days here and there makes no difference but will be a great demonstration of the faith and trust MCI has in the state medical councils." "Gujarat State Council is aware of the matter from 5th May. They have not taken any substantiative action since then in this matter. MCI Ethics Committee cannot and should not function in isolation without taking in to consideration the ground reality. I am sure you must have read the judgment of CBI special court, sent by Mr Amit Kumar. The Judge allowed Dr Desai’s petition and plea for returning his passport and allowing him to travel to Vancouver to take up World Medical Association post, because CBI could not put on record any evidence to show that his medical license (registration) is suspended/removed or any action being contemplated. Gujarat Medical Council’s inaction needs to be viewed in this context. Their inaction and inability to take quick decision in such a serious matter allowed Dr Desai to get back his passport. We also need to keep in mind that he has been President of State Medical Council for more than a decade. The election to the state medical council is rigged as the voting is by postal ballot. Therefore it is not surprising that the state medical council is not taking the decision in this matter and is by its inaction trying to help Dr. Desai in legal cases. I am sure you will agree that the facts about Dr Desai’s case are beyond the shadow of reasonable doubt. There is no dispute about the fact that he was arrested on criminal charges of very grave nature. It is also beyond dispute that that the state medical council has not taken any decision for last 5 months. 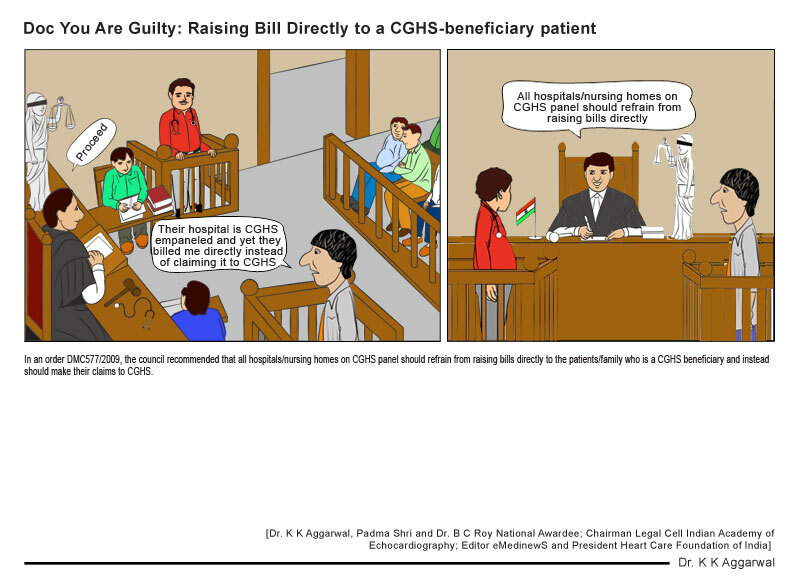 The state medical council act provides for suspension of registration if the person is arrested for criminal and illegal acts of grave nature. The state council has failed to take this preliminary and minimal step in the matter for 5 months. Therefore the complainant has files an appeal before MCI. In my opinion MCI cannot take shelter behind legal technicalities of 6 months period of appeal, especially in such sensitive and serious complaint. Hence MCI had to take an urgent action to prevent Dr Desai from going to Vancouver and taking up WMA post. MCI acts provides for MCI taking over cases Suomoto. It also provides for suspension of license to practice during pendency of cases. Dr Desai’s matter is in fact an appeal to MCI because Gujarat State Council has not taken any action for last 5 months. Therefore there is no incorrect procedure being followed or it is not against any provisions of MCI act. In the last 2 meeting of Ethics Committee Standard Operating Procedures have been discussed. It has been agreed that for urgent matters E mail and/or telephonic consultation should be done to take quick decision. On 9th October myself and Dr Sangeeta Sharma contacted members of Ethics Committee. I tried to contact you on phone at 6pm. But I could not talk to you and so I sent sms. I appreciate your responding to my sms. I believe that in such an important and urgent matter our e mails should be copied to all the members of Ethics Committee in addition to Dr Reena, Dr Sarin and Mr Amit Kumar for fruitful e mail consultation. 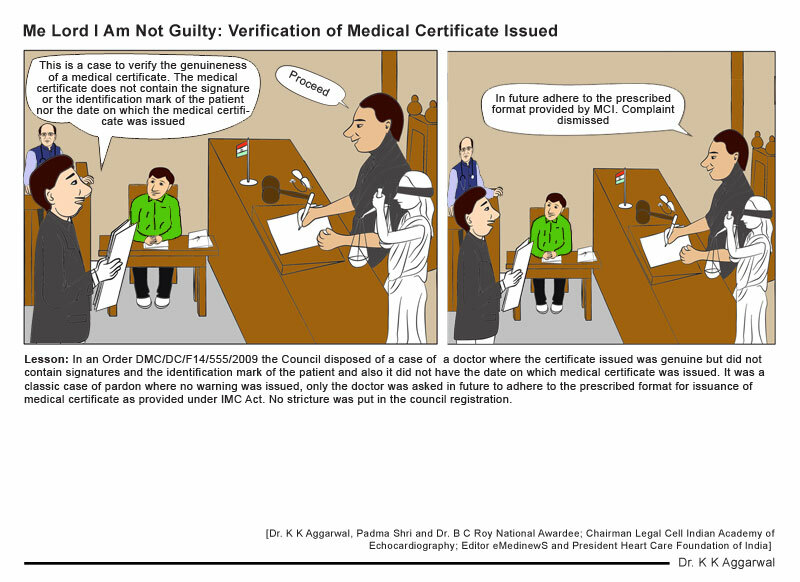 I am, therefore, of the opinion that MCI has followed legally correct procedures and taken the decision in this matter taking in to account all ground and contextual realities and strictly in accordance with the provisions of MCI act in the larger interest of medical profession in the country and in complete transparent manner. I believe this decision will enhance MCI’s credibility." 12th October, 2010, 11:40 PM: Dr BK Rao’s email reads "Dear Mr Amit Kumar, During the deliberations of the ethics committee meeting held on 12th October 2010 some serious errors and omissions were pointed out in the MINUTES made and circulated to the Ethics Committee members and to the Board of Governors, pertaining to the special agenda item circulated on 8th October, 2010 in the matter of Appeal by Dr Kunal Saha in the matter of Complaint against Dr Ketan Desai, in the matter of Recommendation of the Ethics committee dated 8th October, 2010. You have clarified to the Ethics Committee members that the circulated Recommendation of the Ethics committee dated 8th October, 2010, was not the recommendation of the Ethics Committee as was purported since no meeting of the Ethics Committee was ever convened to draft the said recommendation, nor was this recommendation based on the observation/suggestion of the Ethics Committee members at the time of its circulation. Still in your email dated 11th October 2010 ??) Dr Reena Nayyar, Deputy Secretary mentions the circulated recommendation dated 8th October as the Ethics Committee recommendation, which is not correct as per your own submission. In my emails in response to the circulated recommendation dated 8th October, I had not agreed with the Ethics Committee on some vital aspects pertaining to the approach adopted in this matter, and hence there is no question of my according consent to the said recommendation. It was also requested that the MINUTES should be corrected for the errors and omissions and the corrected minutes, clearly stating the corrections made and the reasons thereof, should be sent to the Board of Governors for their review and necessary action. I request your good self that a copy of the letter and the corrected minutes sent to the Board of Governors be made available at the earliest to all the ethics committee members for their information and record." 13th October, 2010, 11:03 am: Mr. Amit Kumar’s email reads "Dear Dr. Arun Bal, I have received the mail from Dr. Rao. Dr. Rao has been saying that there was no meeting and there is no recommendation. I am of the opinion that decision was taken by members on the basis of circulation and not on the basis of meeting. Yesterday, almost all members have signed the proceedings also. It is not correct to contend that there is no decision. Almost all members have signed the minutes of 8.10. Dr Rao has given his dissenting note. I would request you to clarify the position. Moreover, Dr. Rao in his email dt 9.10. 10 has questioned the procedure not the actual decision. The recommendation is the views of Ethics Committee and is not of the individual members as stated in e–mail. Dr. Ketan Desai has lowered the image of doctors and he cannot be allowed to go scot free in procedural wrangling. Let the position be clarified by Chairman of Ethics. Amit Kumar"
13th October, 2010, 12:16 am: Mr Amit Kumar writes an email which reads "Dr. Arun Bal, Chairman of Ethics Committee shall be looking into the matter. However, the recommendations were circulated to all members of Ethics Committee on 8.10.2010. Chairman of Ethics Committee consulted and talked to members of Ethics Committee. In Your email dated 9.10.2010, you have made certain observations on the recommendation. However, issued raised in your e–mail which were replied by Dr. Arun Bal and me and I would request Dr. Arun Bal to place the same on record. The recommendation dated 8.10.2010 in my opinion is the recommendation of Ethics Committee and majority of the members of Ethics Committee have given consent to the same. Therefore, the recommendation of Ethics Committee dated 8.10.2010 is my opinion in the eyes of law is recommendation of Ethics Committee only. So far as "unanimous" aspect is concerned, I would also request the Hon'ble Chairman to look into the matter and give his report to BOG. So far as other aspects of matter are concerned, the Chairman of Ethics Committee is requested to look into and issue necessary clarification." • In the draft recommendation sent by Mr. Amit Kumar it was stated that the Members of the Ethics Committee had perused the copy of the FIR filed by CBI in case of RC 2(A)/10/ACU/CBI and RC No. 3(A)2010/CBI/ACU/9. I am surprised that when the copies of FIRs were not in the list of attached files, how could these Members of Ethics Committee namely Dr Arun Bal, Dr Sangeeta Sharma and Dr Anil Narang say and resolve that they have perused the contents of two FIRs and agree with the resolution which was essentially based on the contents of the FIRs. • Two members of the Ethics committee namely Dr Sangeeta Sharma and Dr Arun Bal wrote in their email that they are sending signed minutes but the signed minutes are not attached with Dr Arun Bal’s email. Though Mr. Amit Kumar maintains that the chairman, Ethics committee had taken telephonically approval from majority of the Ethics committee members and Mr Amit has asked the Chairman himself to issue clarification, the Chairman has not issued any clarification on this important issue and put it on record. There is also no such noting on record in the file mentioning the chairman’s telephonically approval from the majority of members on 8th or 9th October to pass the resolution on Dr Kunal Saha’s complaint nor are there confirmatory emails from majority of Ethics Committee members till the time the draft resolution was put up to the Board of Governors for further action. • Though I have not given my consent, the resolution passed states that a decision was taken unanimously. • We should prevent him at any cost from going to WMA conference. Can we not file an urgent appeal in Supreme Court and cite BOG’s order suspending his licence? (email 8th October 2010,10:08 pm). The state medical council act provides for suspension of registration if the person is arrested for criminal and illegal acts of grave nature. In Dr Bal’s opinion a doctor can be suspended if he is arrested for criminal and illegal acts of grave nature. This was not held a valid reason in the interpretation of the MCI rules by the Ethics committee at a later date where Ethics committee has stated that a person cannot be suspended if he is not convicted by a competent court. So MCI has not suspended the license of the doctors against whom FIR were lodged by CBI/Police but where doctors were not convicted. It is entirely inexplicable that when this resolution had not even been referred to the Board of Governors at all by that time, how could the then Chairman of Ethics Committee Dr. Bal, in his e-mail sent on 8th October at 10.08 pm say that Board of Governors had suspended the license of Dr. Ketan Desai. Further, the contents of his email apparently seem to be motivated with the clear intention to prevent Dr. Ketan Desai to assume charge of the President of World Medical Association. After I have assumed the office of the Member of the Board of Governors on 23rd May, 2013, I was asked by you to look at Dr Ketan Desai’s suspension of registration file in light of the queries being received from Hon’ble Members of Parliament. With a view to send appropriate and correct reply I had perused the entire file of the MCI pertaining to the issue of suspension of registration of Dr. Ketan Desai. On perusal of the said MCI file I did not find approval of the draft resolution dated 8th October 2010 recorded in the file. Further, I did not find any copy of the notice issued to call a meeting of Board of Governors on 9th October, 2010. I also did not find any copy of the agenda placed before the Board of Governors in the meeting scheduled on 9th October, 2010. Further, I did not find any minutes of the meeting of the Board of Governors resolving to approve the recommendation of Ethics Committee recommending the suspension of registration of Dr. Ketan Desai. Subsequently a show cause notice was served on Dr Ketan Desai requiring him to appear by himself or through his Counsel. Dr Ketan Desai’s council appeared whenever required and raised the question whether the MCI had jurisdiction to suspend the registration of any doctor directly citing Section 24 of the Indian Medical Council Act. After obtaining the opinion of a Senior Advocate on the issue of jurisdiction of the Medical Council of India to suspend the registration of any doctor directly it was resolved by the Ethics Committee to ask Dr. Ketan Desai to appear before the ensuing Ethics Committee meeting to be held on 10th May, 2011 by himself or through his Counsel. The Counsel of Dr. Ketan Desai had communicated that the Enforcement Director, New Delhi had issued summons to Dr. Ketan Desai to appear before them on the same day and accordingly, had requested for exemption/adjournment. In response to the request of Dr. Ketan Desai, the Ethics Committee had decided to give final opportunity to Dr. Ketan Desai to appear before the next Ethics Committee meeting scheduled on 14th June, 2011 by himself or through his Counsel. However, this meeting of Ethics Committee was postponed. Thereafter, from the record available with the MCI office, it appears that though the item of suspension of registration of Dr. Ketan Desai was placed before the Ethics Committee number of times but the communication was never sent to Dr. Ketan Desai to appear before the Ethics Committee and the Ethics Committee in each meeting had decided to defer the matter without citing any reason. It appears that after 10th May, 2011, Dr. Ketan Desai was never asked to be present in response to show cause notice issued to him by the MCI in the month of October, 2010, in any of the subsequent meeting of the Ethics Committee till date. The matter was placed before the Board of Governors also on two occasions in the past. However, here also the matter was deferred without citing any appropriate reason. The name of the person/persons who drafted these draft recommendations of Ethics Committee on the appeal of Dr. Kunal Saha and how was the draft recommendation passed to Mr. Amit Kumar for circulation to the members of the Ethics committee using his personal email ID is not clear in the MCI record file. There is no recorded approval from the majority of Ethics Committee members either by email or telephonically or in writing on file on 8th or 9th October 2010 recommending the suspension of registration of Dr. Ketan Desai. There are no minutes of the meeting of the Board of Governors on file approving suspension of the registration of Dr. Ketan Desai. Though I have not given my consent, the resolution passed states that a decision was taken unanimously. Copies of FIRs were not sent as an attachment to the Members of the Ethics Committee along with the e–mail sent on 8th October, 2010 at 9.34 PM but in the resolution prepared on behalf of the Members of Ethics Committee, it is stated that Members have perused the copy of the FIRs. The letter addressed to Director, CBI dated 7th October, 2010 which was sent as an attachment along with the email dated 8th October, 2010 from Mr. Amit Kumar, contends that the matter has been referred to Ethics Committee when as a matter of fact the matter was not referred to the Ethics Committee on 7th October, 2010. Sir, this is ironical that in an email dated 9th October 2010 Mr. Amit Kumar, while commenting on the inaction of the Gujarat Medical Council’s failure to take any action within 5 months after receiving Dr Kunal Saha’s complaint, mentions that" It is also needless to emphasize that "justice should not only be done but it should be seen to be done." Now the case is pending with the Ethics Committee/BOG of the MCI for the last nearly 36 months. Moreover there are communication lapses, missing records and contradictions in such a sensitive matter which raises a doubt about the possibility of manipulations and fabrication of the records. This is a serious issue which needs answers and hence in my view, requires to be thoroughly investigated and accordingly, I request you to consider referring the entire matter of suspension of registration of Dr Ketan Desai to CBI for investigation and action to be initiated against all concerned officers/officials who are responsible for the missing records; and fabrication/forging/manipulation of the official documents if any. Most immunocompromised people should be vaccinated against influenza and other infections, according to new guidelines from the Infectious Diseases Society of America (IDSA), published online December 5 in Clinical Infectious Diseases. A comprehensive review of observational studies and randomized clinical trials of vitamin–D status and health outcomes suggests that low concentrations of 25–hydroxyvitamin D (25[OH]D) are most likely an effect of health disorders and not a cause of illness. The findings are published online December 6 in Lancet Diabetes & Endocrinology. Dense breast tissue can mask cancerous tumors on mammography and is a cancer risk factor, but how should this finding be reported to patients? It seems unclear, at present, whether physicians should be legally required to inform women about the presence of dense breast tissue and the potential diagnostic and prognostic implications of doing — or not doing — additional testing to confirm or rule out breast cancer. Currently, only the United States has such a legal requirement, and only some states. A review of the current state of breast density notification legislation in the United States is part of an imaging screening series published in the December issue of the Journal of the American College of Radiology. Treatment of patients with hemophilia B with a long–acting coagulation factor (recombinant factor IX fragment crystallizable (Fc) fusion protein (rFIXFc; Biogen Idec) is safe and effective for preventing bleeding events, according to an article published online December 4 and in the December 12 issue of the New England Journal of Medicine. The US FDA has approved collagenase clostridium histolyticum (Xiaflex, Auxilium Pharmaceuticals) as a non–surgical treatment of men with Peyronie’s disease. Collagenase C histolyticum breaks down the buildup of collagen (a structural protein in connective tissue) that causes the curvature deformity. According to a scientific statement from the American Heart Association/American Stroke Association published in Stroke: Journal of the American Heart Association, the decline in stroke mortality that began more than a century ago accelerated starting in the 1970s, a phenomenon tied to better prevention and treatment. The more recent gains –– coming from both a reduced incidence of stroke and lower case–fatality rates –– have been seen in both men and women and across all ages and racial/ethnic groups, despite the fact that the population has grown older and heavier. According to a committee chaired by Daniel Lackland, DrPH, of the Medical University of South Carolina in Charleston, large–scale efforts to control hypertension that started in the 1970s appear to have had the biggest impact although it remains difficult to determine the relative contributions of various factors. A large observational study reported at the American Heart Association scientific sessions has found that more than one–third of Americans have a high dietary phosphorus intake and an all–cause mortality rate that is more than double that of Americans with lower dietary phosphorus consumption. High dietary phosphorus density – a value of at least 35 mg/kcal for the product of dietary phosphorus intake divided by total energy intake – was associated with a 2.27–fold increased risk of all–cause mortality and a 3.39–fold elevation in cardiovascular mortality. One year after the World Health Organization (WHO) updated its guidance on the preferred strategy for introducing vaccines to combat rubella, the number of reported rubella cases among WHO member states dropped by 86%. However, some populations remain vulnerable for outbreaks, according to a new report published in the December 6 issue of the Morbidity and Mortality Weekly Report. Although children and adults usually only suffer a mild fever and rash, rubella risks spike among pregnant women, especially if they are infected in the first 3 months of pregnancy. Infection can result in miscarriages, stillbirths, or congenital rubella syndrome (CRS). Newborns from whom life support is going to be withdrawn may be potential kidney donors, researchers say. With transplant teams increasingly using organs donated after cardiac death (DCD) rather than after brain death, it remains unclear how many such organs might be available following withdrawal of life support in the NICU. In the studies, curcumin was given to rats, who then underwent surgery or received drugs designed to put them at risk of heart failure. The rats that received curcumin showed more resistance to heart failure and inflammation than comparison groups of rats that did not get curcumin. The healing properties of turmeric have been well-known. The herb has been used in traditional Indian medicine to reduce scar formation. For example, when there is a cut or a bruise, the home remedy is to reach for turmeric powder because it can help to heal without leaving a bad scar. Quoting a study published in BMJ, Dr Aggarwal said that sitting for 3 hours per day or longer may reduce an individual’s life expectancy. The study calculated that limiting the time people spend sitting to 3 hours or fewer each day would increase the life expectancy of the population by two years. Cutting down TV watching to fewer than 2 hours each day would bump life expectancy up by another 1.4 years. Yesterday’s Mind Teaser: A 64–year–old hypertensive obese female was undergoing surgery for fracture femur under general anaesthesia. Intra operatively her end–tidal carbon–dioxide decreased to 20 from 40mm of Hg. followed by hypotension and oxygen saturation of 85%. What could be the most probable cause? Answer for 4th December Mind Teaser: 3.Pain sensation on the contralateral side. I am the best. I can prove it. I can put Coffee in coffee cup. Can you put world in World Cup? I can send my address on your mobile. Can you send your mobile on my address? I can eat Cream biscuits with Cream. Can you eat Tiger biscuits with Tiger?